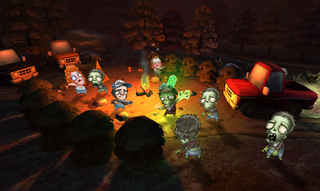 Lots of games feature zombies. Not many games let you play as them. Maybe that's why I've taken an interest in Ray's The Dead, a new Kickstarter project that promises to be a zombie game unlike any others, mostly because the zombies are the stars. This is an "action-stealth-puzzler" where you play as a zombie who can run around recruiting other zombies and converting humans to your cause.